Oh my goodness guys… I had a whole different post planned for today but these just can’t wait. When Chris and I went to Phoenix for Christmas we met my mom and sister for lunch at Betty’s Nosh, an awesome mushroom bar in Glendale, AZ. 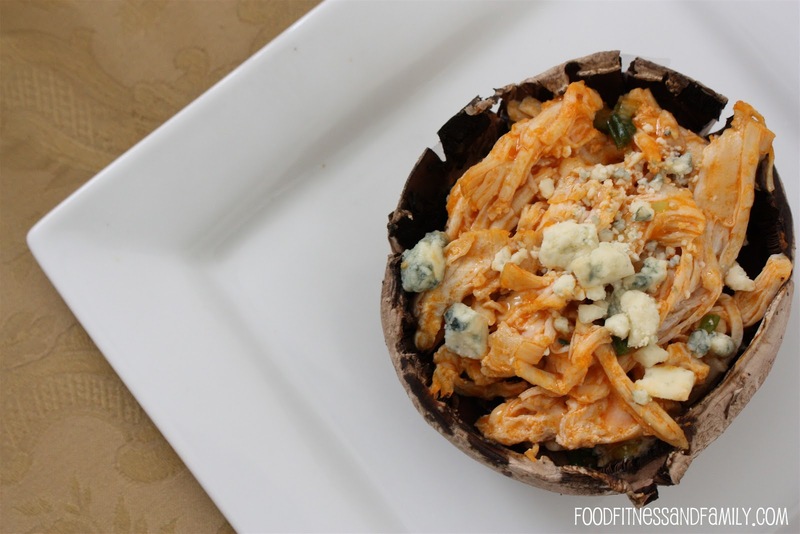 We had the buffalo chicken mushrooms as an appetizer and since then I have been dying to recreate them. Today my friends … I did. And they were better. Since I am obsessed with all things buffalo, these are right up my alley. They are so good you don’t even need bleu cheese dressing or ranch. You could also make them using baby portobello mushrooms and serve them as an appetizer. Either way, they are amazing. Put the chicken in a medium size sauce pan and cover with water. Bring the water to a boil. Reduce heat and simmer for 12 minutes. Shred the chicken using 2 forks. 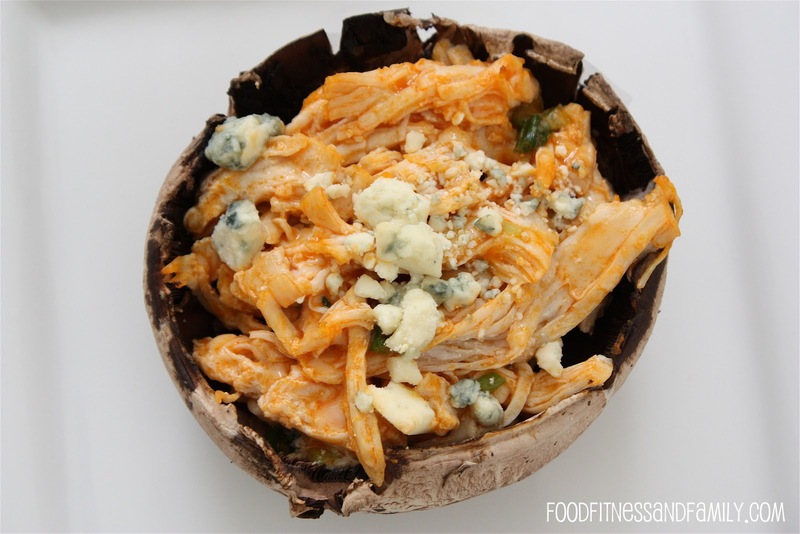 In a medium size bowl, mix the chicken, green onions, parmesan cheese, and buffalo sauce. Scoop out the inside of the mushroom caps. Divide the chicken mixture between the two mushrooms. Sprinkle 1 teaspoon bleu cheese onto each mushroom and place on a baking sheet. Bake in the oven for 8 minutes. Serve warm.